A 7-year old boy attending Park Elementary in Brooklyn Park is suspended for using food to make “inappropriate gestures” which disturbed a class. 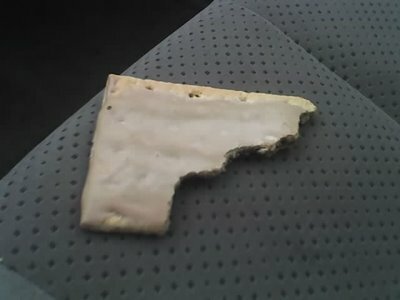 It seems the 2nd grader was eating a pop-tart and at one point, the uneaten part resembled a gun. A teacher saw this, sent the boy to the Principal who suspended him for 2 days. Not the actual weapon used in incident. The school sent home a letter advising that the school counselor would be available for anyone that was “troubled” by the incident. While it is admirable that the school has a zero tolerance policy on weapons and threats, I am not so sure that eating a pop-tart escalates to the level of a threat; much less warrants a suspension. The “perpetrator” was a 7 year old boy. It seems the only tragedy averted was some cherry filling that may have been spilled on his shirt. But, the Anne Arundel County Schools have already set a precedent for this type of suspension. In May of 1999, a 4th grader at Windsor Farms Elementary in Arnold was suspended for drawing a gun on a piece of paper.